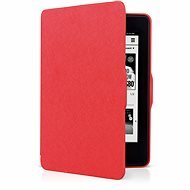 The C-TECH PROTECT is an elegant, durable protective case for the Amazon Kindle Paperwhite and Paperwhite 2. 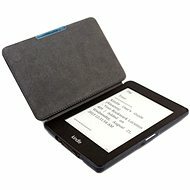 The case is made of artificial leather and features a rugged design that provides effective protection when you're using or carrying your e-reader. 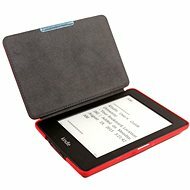 The case includes cutouts for all ports and buttons, so your use of the e-reader is not limited in any way. It also supports wake/sleep functionality when opening or closing the cover, which significantly saves battery life. For shipping to other EU countries visit this page C-TECH PROTECT AKC-06 red. Für Versand nach Deutschland, besuchen Sie bitte C-TECH PROTECT AKC-06, rot. Chcete doručit zboží do Česka? Prohlédněte si C-TECH PROTECT AKC-06 červené. Chcete doručiť tovar na Slovensko? Prezrite si C-TECH PROTECT AKC-06 červené. Für Versand nach Österreich, besuchen Sie bitte C-TECH PROTECT AKC-06, rot. Magyarországra történő kiszállításért tekintse meg ezt a termékoldalt: C-Tech AKC-06 Protect Amazon Kindle tok, piros.